A wise man once said: The best things are found not on billboards but through word of mouth. Wait, that’s actually my quote. And you will agree. I got this job through a referral, bought a great book because a stranger on the plane recommended it and most probably will meet my wife because our friends hooked us up! Forewards is an easy to use platform that helps online retailers convert happy customers into an army of brand advocates by offering rewards and automating the entire process. The three founders of the company – Peter Lee, Ari Glaizel, Jason Dea – started off with a digital agency, helping clients design and build websites and online stores. They also did quite a lot of work offering social media marketing services. “Almost overnight we saw interest from large clients started to fall while there was a huge rush of interest from small and mid-sized businesses”, says Peter. Forewards automates the workflow that starts from customer buying something from your shop, triggering the message server to inform them via SMS or email to tell their friends about the store and finally issuing coupons as a reward. Customers gets rewarded, their friends discover new stores and get a discount, and e-commerce businesses grows organically. Just like Startup Dope is referring the most awesome new entrepreneurial ventures to you guys! In terms of competition, there are a few handful of direct competitors. 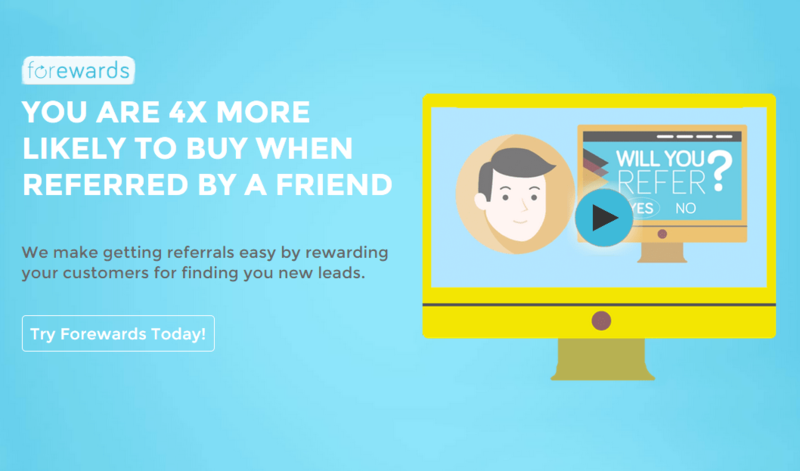 The most well known being ReferralCandy and Friendbuy. However, they are also competing indirectly with email marketing and social media marketing applications as well. Peter is confident that Forewards’ target audience of small to mid-sized businesses will appreciate its easy to use and effective marketing and give them an edge over their competitors. The first version of Forewards was built to support the Shopify ecommerce platform and they are aiming to scale across other e-commerce platforms. “Our growth plans are simple, more platforms to be able to tap into larger and larger markets. Shopify is a big ecosystem itself, however they have a number of relatively equivalent competitors such as BigCommerce and WooCommerce that we plan to support next”, says Peter. Their pricing model will be that of a standard subscription based SaaS but they are yet to create the pricing plans. Head over to their website to learn more.